I hope you like your vampires gun-toting and weather black leather catsuits, because if Len Wiseman has his way, you'll be seeing a lot of them. At NYCC the director announced that two Underworld movies were in development — one of them possibly starring with Kate Beckinsale! — as well as a TV series. 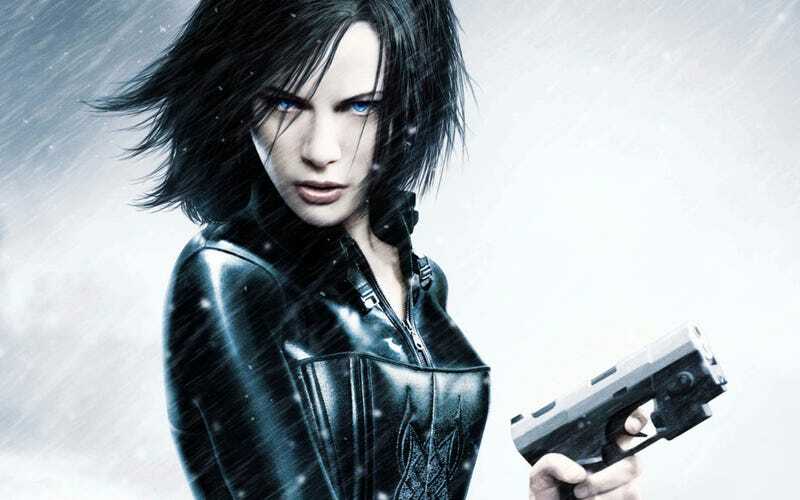 Obviously, Underworld fans would be glad to have Beckinsale's badass vampire Selene back, since she was rumored to have been done with the franchise. The second film will be a spinoff, presumably be based around the uber-vampire David from the fourth film, as previously reported. As for the TV show, who knows? But something tells me a TV show about vampires and werewolves based on the popular movie franchise would not do particularly poorly nowadays.